hi just bought this phone &got it unlocked straight away,but cant get the gprs to work any advise anybody? I just got this fone recently and i think it is great! I got this as an upgrade and I prefer it to my existing Motorola clamshell. I find it easy to scroll around the groups, but then they were the same on my Motorola.It's very light and compact and many people have commected on how smart it looks. The only gripe I have is the camera is not as good as the Motorola but is still more than adequet. Great phone and features but the battery life is rubbish and it only gives you about 5 mins warning that its going to die on you. And I don't even use it that much as I'm using up credit on my Orange phone. Its actually worse than the first phone I had 7 years ago (which was normal for a phone then). Its ok if you can be bothered to charge it up every evening but forget it if you're looking for a phone that actually does what you want it to ie make phone calls when you really need to!!!!!! I'm taking it back to Vodafone today but so far they haven't been very helpful so someone may get a baragin on e-bay! Did you? If I want choose a ring for a category (friends, family or other) it's impossible to select it! memory, small but what u really gonna use a big memory for? its a fone!! Sum it up in one word, amazing. 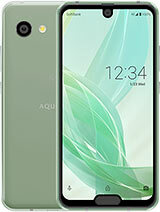 well i have just brought this phone and i think its great, yes it has a small memory so what its a phone. 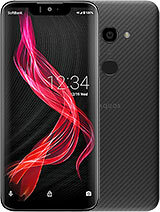 not a pc so what are you waiting for....>>>buy 0ne today great phone and cam is really clear weldone sharp..
i love it nd i want 2 buy it online can u send the product registration form to me? I bought this phone at Boots the chemist at a very cheap price.. it was a great bargain-until i found that the phone could only keep 5-8 text messages on screen, you have too delete the present list of text in order for the new txt to appear; it also does not show any sent sent text messenging. The phone is ok, but i don't like the Vodafone menu.If the phone would have a biger memory MP4 player(MP3 player).....so...i need yours help, because i want to change the Vodafone menu and customize the existing one.Can anyone help me ? Pls writte me at alinut_mm@yahoo.com for any kind of information !!! 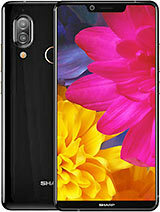 hi i have just bought this fone 1 word to describe it in a FANTASTIC. 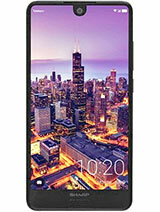 I got this phone on offer at phones 4 u and it waz £90 it is great it has bluetooth , infared , vodafone live , vodafone messanger and lots more features. 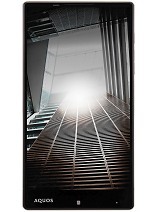 If you are going to buy this phone go for it dont listen to any bad opinions there can be none said. All my friends send me ringtones through infared its really quick easy and FREE. its fab go for it dont hesitate .Also i think it looks quite big on the pictures i saw it isnt its tiny. The pictures dont really do it justice its far better . There are some problems with this phone. There is no way to delete your called/received list all in one go. You have to delete them one by one. Unlike Sony phones there is no caller filter function to allow only from a list of callers. Good for those callers without caller ID (cold callers). Battery life is too short - go on a conf call for a 2+ hours and it needs to be recharged. What setting should the phone be on to use in car kits. My old Nokia worked fine but this sharp is a bit of a pain to get going in-car, not sure if its me?,the phone? or the hands free car kit brought from Halfords last year? The phone rings through the car speakers, but when i answer it, I can't hear a thing? 1. go to "my Items"
HEY PRESTO..........PICTURE SHOULD BE GONE? hi can anyone please post step by step instructions on dleleting pics from this phone?? ?